Ideas for the Big Game! Whether you’re hunkering down in front of the TV with the family, or filling your house with friends to watch the big game, we’ve got some ideas that will make it a memorable event! These loaded tater tots on a stick are easy to make and super delicious! Food Network always has a wide variety of ideas, from sweet to spicy, and everything in between! Still don’t have your menu set? Visit Good Housekeeping’s list of snack suggestions. Woman’s Day has instructions on banners, napkin rings and more. Check out these crafts from Good Housekeeping for something to keep the kids busy while you’re prepping the food. We like the cupcake toppers best! Depending on the crowd, you can create your own betting squares, Bingo cards, and more! These ideas from The Spruce have something for everyone—from the kid crowd to an adults-only crowd. If you haven’t found enough to occupy your guests, check out these activities from Play.Party.Plan. Hopefully we’ve given you enough resources to plan the perfect game watch get together! 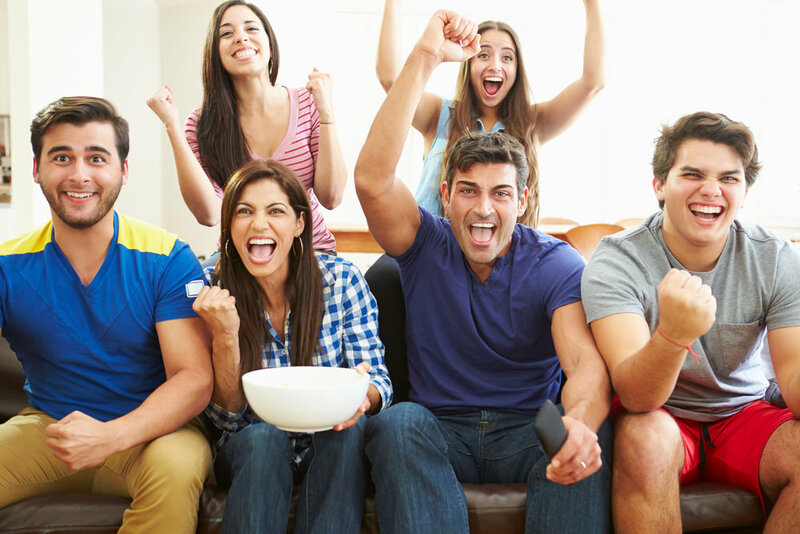 And don’t forget, if you’re ever looking for the perfect place to watch the big game, or need extra space for any other event, keep The Bonus Room in mind! We’re just the extra space you need.